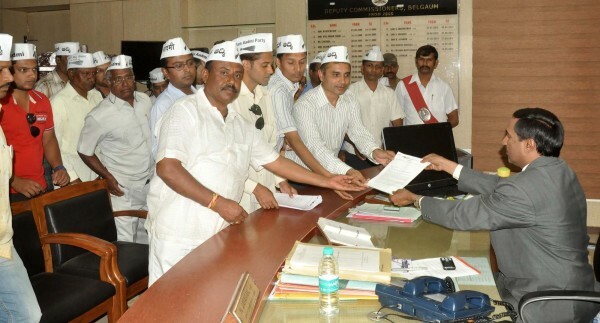 Aam Aadmi Party Belgaum and Sri Ram Sena today gave different memorandums to the DC sighting their displeasure on the Income tax department constructing its new building near the Belgaum fort. Sri Ram Sena in its memorandum has stated that, Govt offices can be built on some other land and please do not allow this sacred ground on which our ancestors have shed their blood to be polluted by the modern concrete construction. The AAP in its memorandum demanded the Belgaum fort be declared as a state and national heritage monument. The Belgaum fort has not been declared as an ‘Ancient monument’ even after its fits the criteria of ‘Ancient monuments and Archaeological sites and Remains act of 1958. 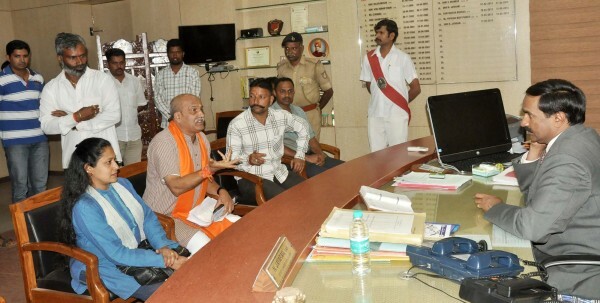 It also demanded that the district administration stop all work at the site.